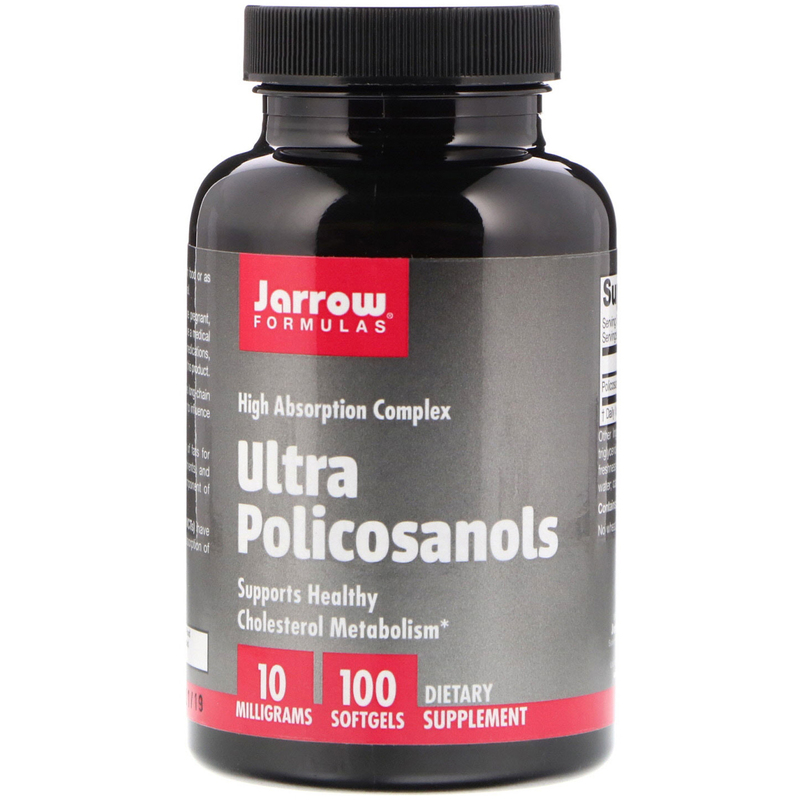 Jarrow Formulas Ultra Policosanols provides long-chain fatty alcohols that collectively have been shown to influence cholesterol metabolism. Lecithin is important in the emulsification of fats for the enhanced absorption of fat-soluble nutrient, and is rich in phosphatidylcholine, a critical component of cellular membranes. 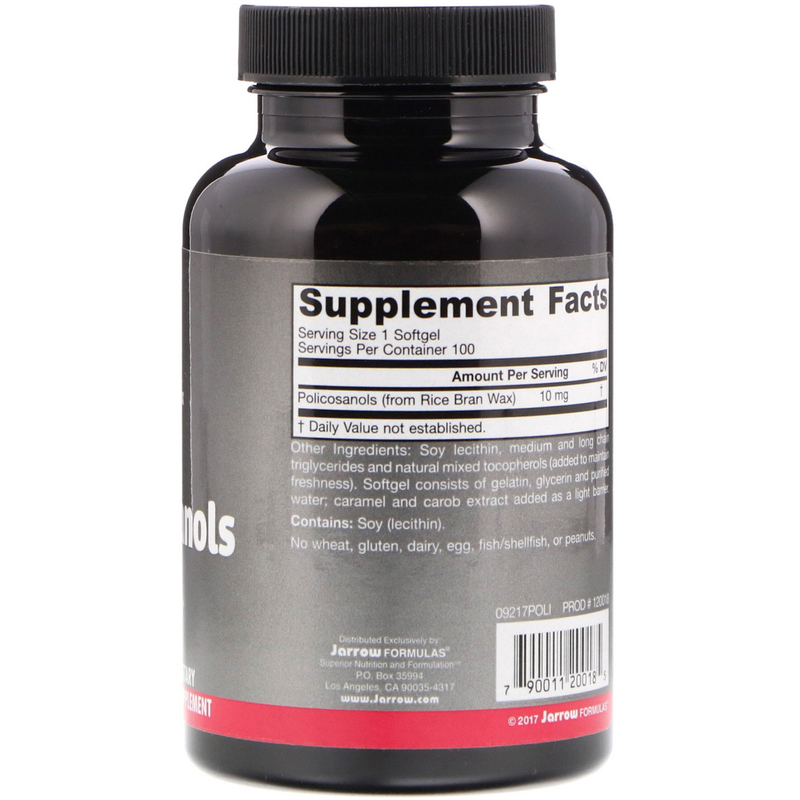 Lecithin and medium chain triglycerides (MCTs) have been added to this formula to improve the absorption of the policosanols. Take 1 softgel per day, preferably with food or as directed by your qualified healthcare professional. Soybean, lecithin, medium and long chain triglycerides and natural mixed tocopherols (added to maintain freshness). Softgel consists of gelatin, glycerin and purified water; caramel and carob extract added as a light barrier. No wheat, gluten, dairy, egg, fish/shellfish, or peanuts. Do not use this product if you are pregnant, lactating or trying to conceive. Note: If you have a medical condition, are under the age of 18, or taking medications, consult your healthcare professional before using this product.